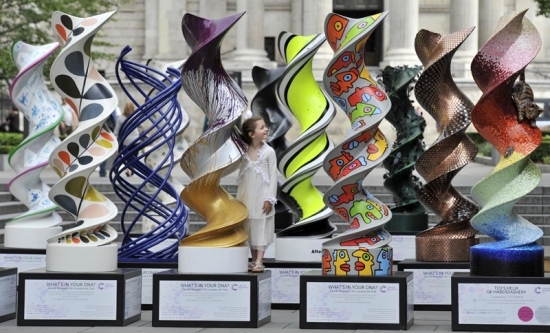 Sir Paul Nurse’s “Crick project” was/is daring and the numbers above are certainly impressive. But with this grandeur come great expectations. Sceptics of the project will be awaiting great results, results even better (and by that I probably mean more translatable into medicine and the real world) than those already being produced by the research groups moving into the Crick. Although I have no doubt that it will be an exciting place to work, with excellent facilities and support staff, I can imagine it will also be a high pressure environment. We shall see. At the moment it’s barely been a week since I graduated with my undergraduate degree (woohoooo!) and part of my brain is already getting a little bit impatient for something new to think about and to work on. Another, perhaps more calculating, part of my brain is saying, “Are you mad? Enjoy these weeks of freedom. You’ll never have holidays like these again!” In any case, the PhD doesn’t start until September but in the mean time I’m scheduled to join a lab meeting of my future lab in late July. That means that I should do a bit of preparatory reading beforehand, including the lab’s most recent publications (see below). This entry was posted in Factual, Opinion, PhD and tagged Crick, CRUK, DNA, PhD by Victoria Wang. Bookmark the permalink. GOOD LUCK, those double helixes look distinctly different from the ones I saw in 1973…bioscience, University of Toronto, they get more colorful with the years…a good sign !!! Fisheye lens would certainly do it! Exciting times! Do you know how many people and PhD’s will be flooding the site? In terms of results, it’s a fairly wide held perception in the pharmaceutical industry that smaller R&D centers produce better results than monolithic ones. However I doubt this will be the case for the Crick as there won’t be an insane commercial pressure to produce a block buster drug and save the company. Also these centers tend to be in places that top talent would really prefer not to be. I’m sure the Crick will attracted the brightest, best and most vibrant of researchers. Do you know how much diversity there will be in the research? More than just cancer obviously, but will it all be disease treatment focused? 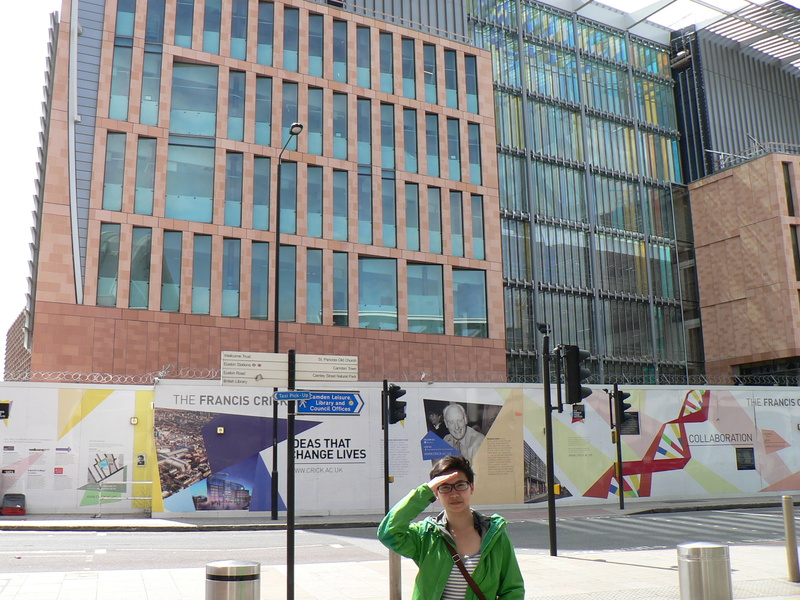 In total there will be about 1250 scientists in the building… So I imagine there will be several hundred PhD students? Remember that they are coming from several currently existing sites/institutes, including KCL, UCL and Imperial. Yes, it’s true that it’s not a company trying to save itself by churning out new drugs. However, there certainly seems to be the expectation that projects will be at least somewhat translation focussed. The location really is prime – right next to King’s Cross/St. Pancras, so I imagine collaborations with Cambridge will be quite easy as well. And as for the diversity, yes, there’s certainly more than just cancer and stem cells: quite a few neuroscience groups (especially from Mill Hill, I think), a growing group of mathematical/computational/systems biology groups and also developmental biologists.